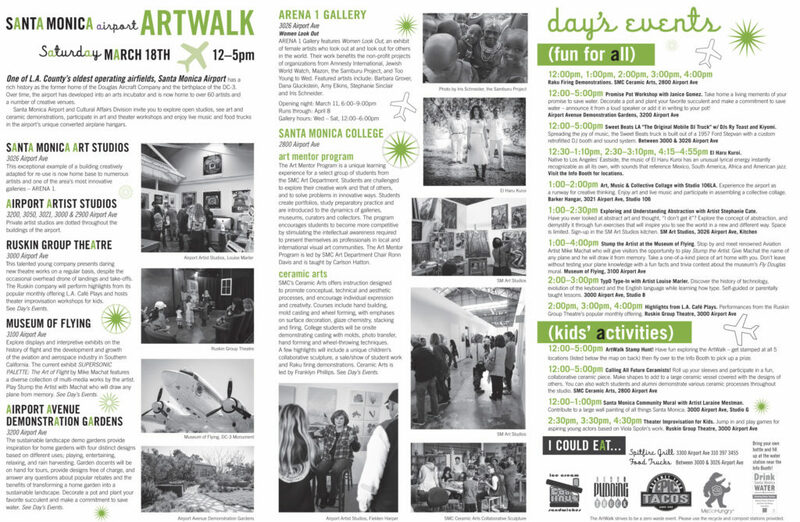 This weekend, don’t miss the Santa Monica Airport ArtWalk on Saturday and don’t forget to plan ahead on Sunday to avoid delays during the L.A. Marathon. 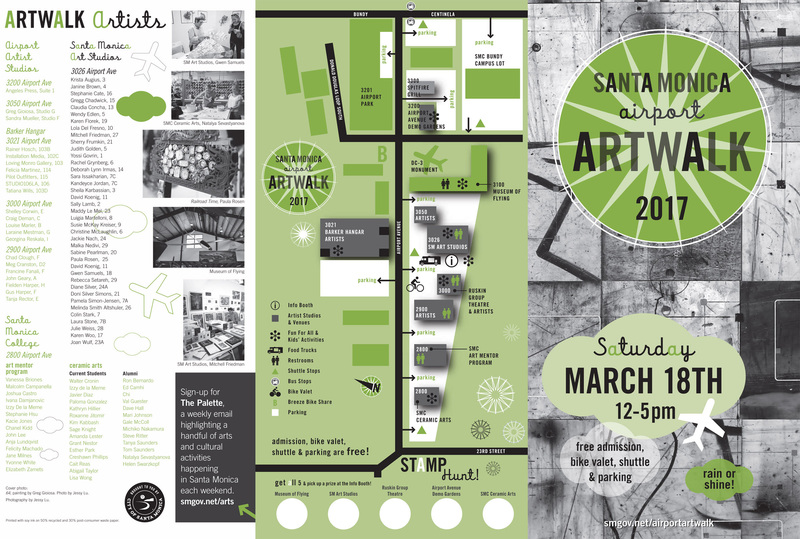 On Saturday from 12 p.m. to 5 p.m., visitors can partake in art and ceramic demonstrations, theater and art workshops, live music and food trucks. In Arena 1 Gallery there will be a panel discussion featuring artists from the current show: Women Look Out from 2 p.m. – 3:30 p.m. Women Look Out features photography by a half dozen female artists who have chronicled subjects as diverse as the hunger in the United States, humanitarian missions in Darfur, and youth boxing in England. And don’t forget on Sunday to ditch your car to avoid traffic during the L.A. Marathon. Here’s a comprehensive list of links to get up-to-date information about the marathon and how to get around town while it’s going on. The marathon route runs down San Vicente Boulevard and turns on to Ocean Avenue, where it continues south to California, which is the finish line. Click here for a map. There are plenty of options other than driving for getting around, so make sure to plan ahead.